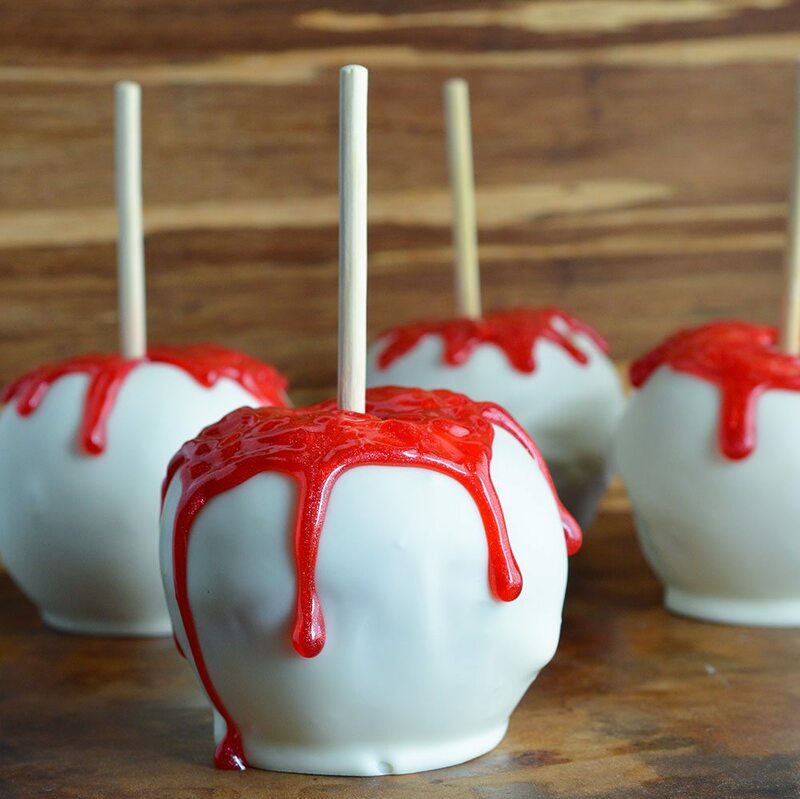 Surprise the kids with this super fun and spooky treat! 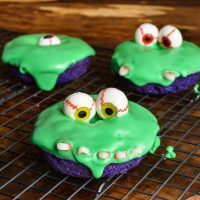 These Slime Monster Halloween Donuts are guaranteed to be a hit and make you The Cool Mom! I absolutely LOVE Halloween! It has been my favorite holiday since I was a child. The dressing up, the fun, the festivities, the candy. What’s not to love? My daughter has inherited my love for everything Halloween . . . and then some. 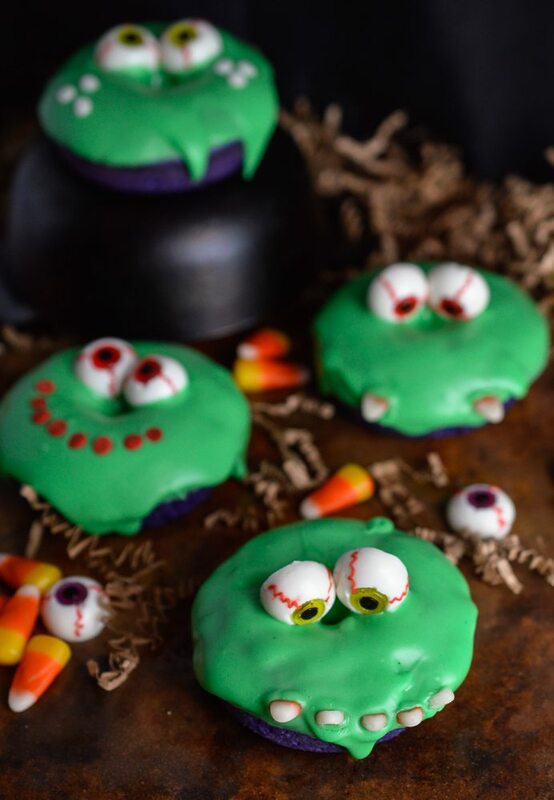 So any time I make a spooky treat like these donuts she gets so excited. The best part is that these donuts are really simple to make. 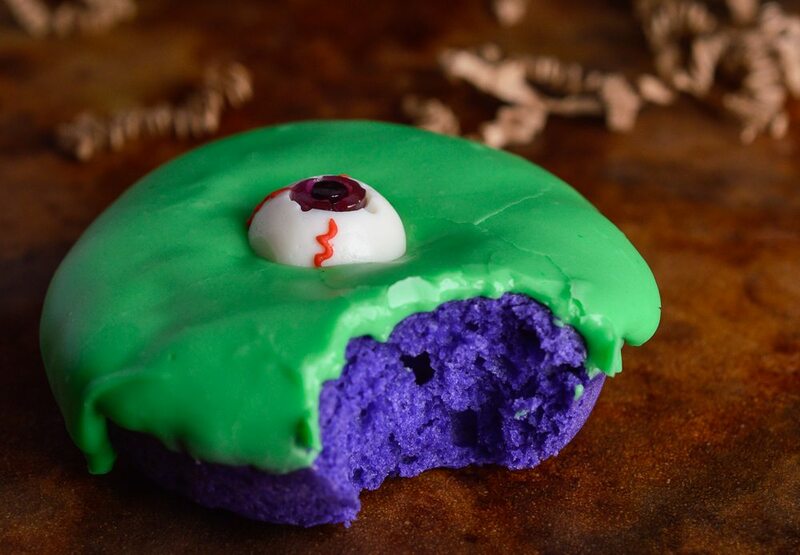 Just make baked donuts as usual, add some vibrant colors and candy on top. Done. 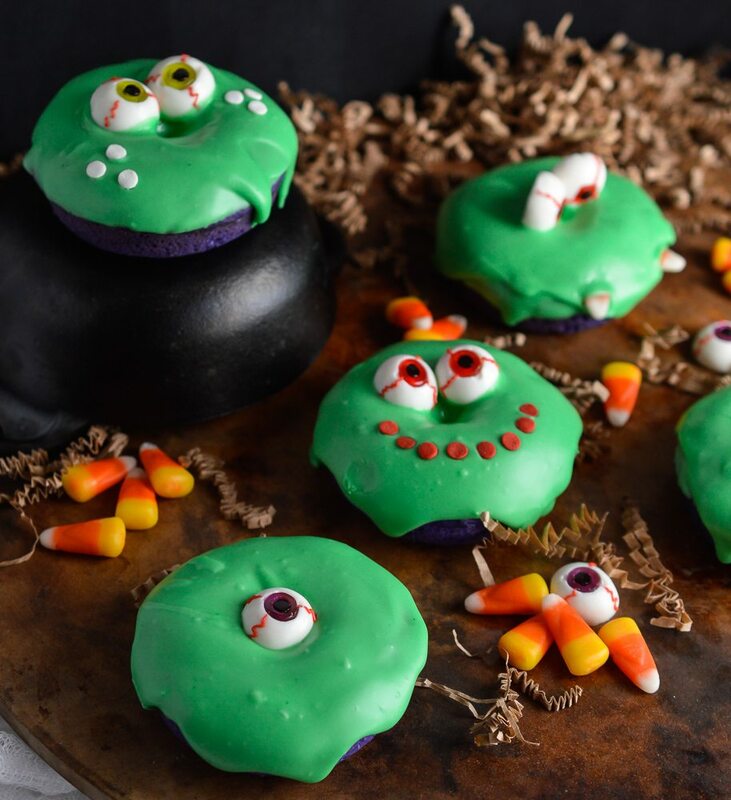 I found these awesome gummy eyeballs at Walmart in the seasonal baking section and I just had to get them. I cut the white tips off of candy corn to create spiky monster teeth. My kiddos were obsessed with these donuts. 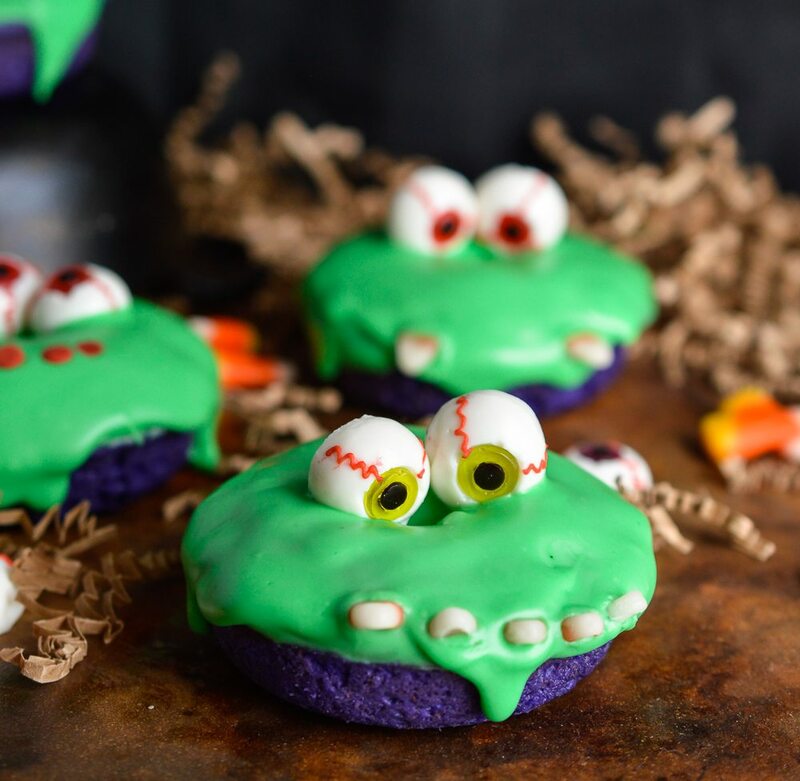 And, these are great for younger kids too because they are more goofy than scary. 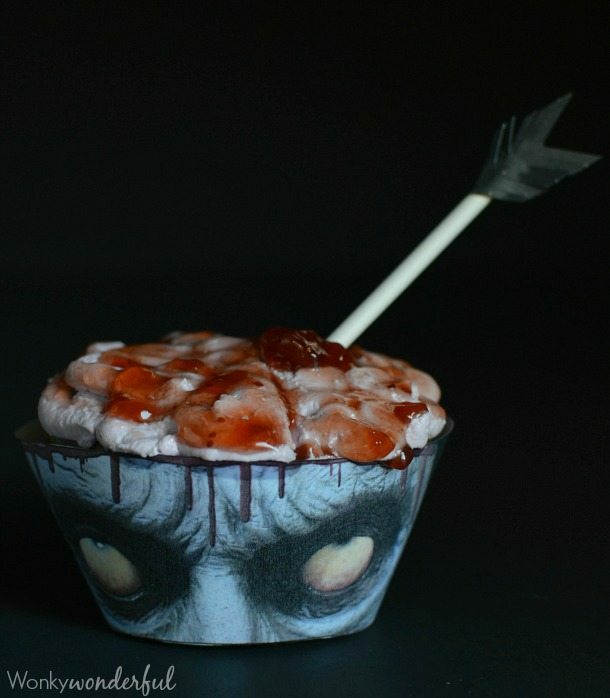 So get into the Halloween spirit. Make these Slime Monster Donuts and get ready to have some fun! Using hand mixer; combine butter and sugar. Add egg, sour cream, milk, vanilla and food coloring. Mix. Mix in dry ingredients slowly. Spray donut pan with nonstick. Fill donut molds with batter. I transfer batter to a sandwich bag, snip one bottom corner and pipe batter into molds. Mix powdered sugar, cream, lime juice and food coloring until smooth. Dip each donut into glaze. Repeat for a thick glaze coating. 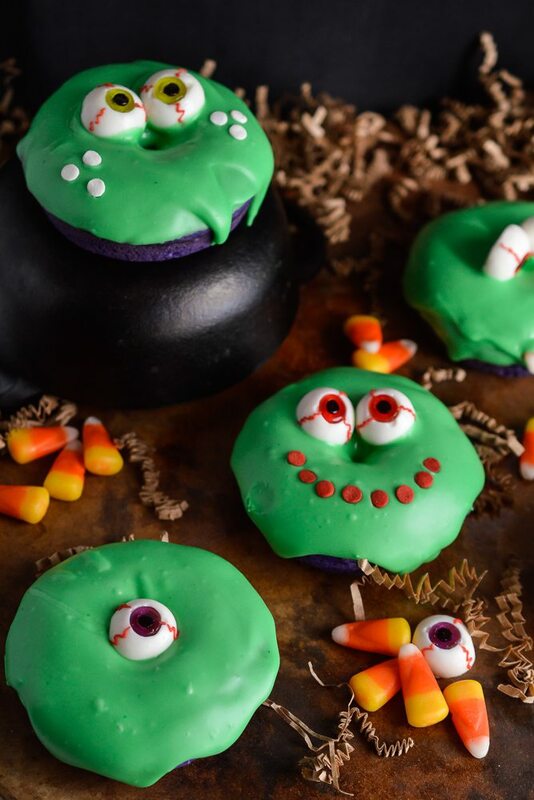 Decorate donuts with gummy eyeballs, sprinkles, candy corn and whatever else you come up with. 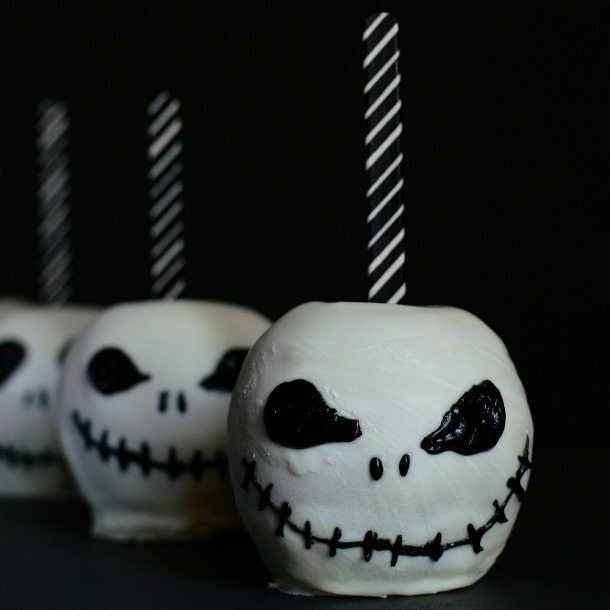 More Spooky Treats. . . These donuts are so cute. I love the contrast of colors. My boys are going to be thrilled with them.